Illinois Attorney General Lisa Madigan led a raid of the Presidential Pavilion Nursing Home on Chicago' South Side on Tuesday. Presidential Pavilion is one of Illinois' largest nursing home. The nursing home sits at the intersection of Western and 80th where the raid was conducted by local police agencies and investigators. It is the 10th nursing home to be raided in this ongoing sweep to reduce the risk of wanted felons living in nursing homes. The concern is that these felons are a risk to the staff and other residents of these nursing homes. 14 separate warrants were issued as to wanted felons at Presidential Pavilion. There were reportedly 20 residents with a total of 950 arrests and 399 convictions. This raid was reported by the Chicago Tribune which has done excellent work shining light on the problems plaguing nursing homes in Illinois. Dave Jackson of the Tribune has previously interviewed Attorney Mike Keating regarding these issues surrounding Illinois nursing homes. The Illinois Nursing Home Care Act provides that if a resident is injured while in the care of a nursing home, that nursing home may be responsible for the resident's injuries. This may be true even if another resident injures the victim. It is quite often the case that a nursing home is aware of the dangerous background of a resident and allows them to be unsupervised and injure other residents who become victims. 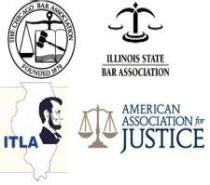 If you have any questions regarding this post or regarding the law surrounding Illinois nursing homes, please contact Attorney Mike Keating at 312-208-7702 or MKeating@KeatingLegal.com.